The 386SX Microprocessor is a 32-bit CPU with a 16-bit external data bus and a 24-bit external address bus. 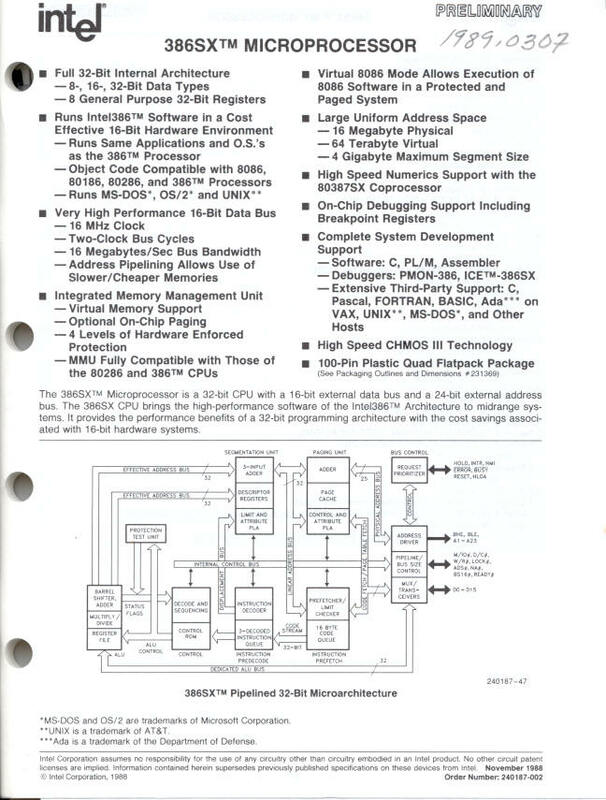 The 386SX CPU brings the high performance software of the Intel 386 Architecture to midrange systems. It provides the performance benefits of a 32-bit programming architecture with the cost associated with 16-bit hardware systems.